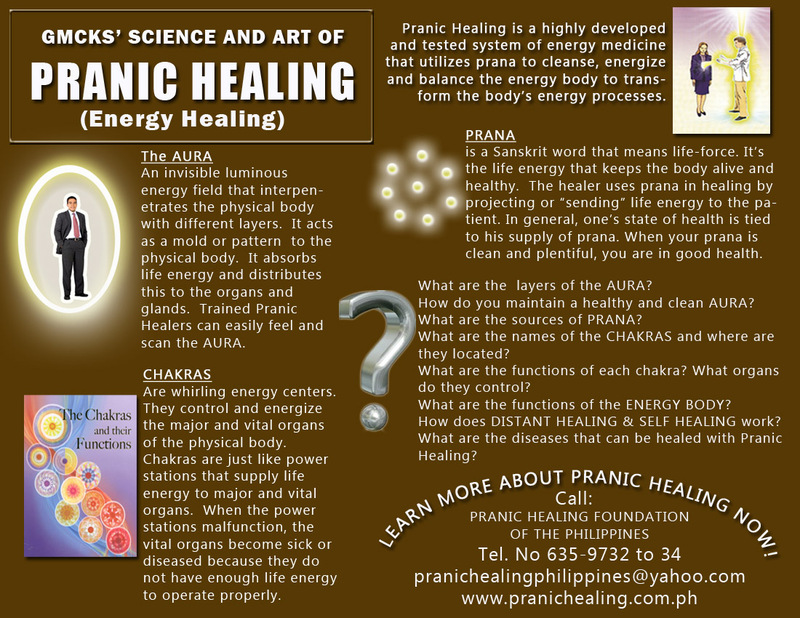 PRANIC HEALING© is an ancient science & art of energy healing which utilizes prana or ki or vital energy to heal the whole physical, emotional & mental bodies. It is a safe & gentle method of treatment. By cleaning the energy bodies and projecting energy or life force, the healing process is done. Prana is the energy that exist in all of us. Everything is made of prana, even your body is made of prana. It is invisible to the naked eye, but it can be felt with proper training. The human body is surrounded by prana and it is called as the “energy body”, and through the practice of Pranic Healing, you can easily perceive the energy body structure of an individual. Illnesses manifest in the energy body first. It usually takes a congested or depleted form. When left unchecked, it will eventually become an actual illness. 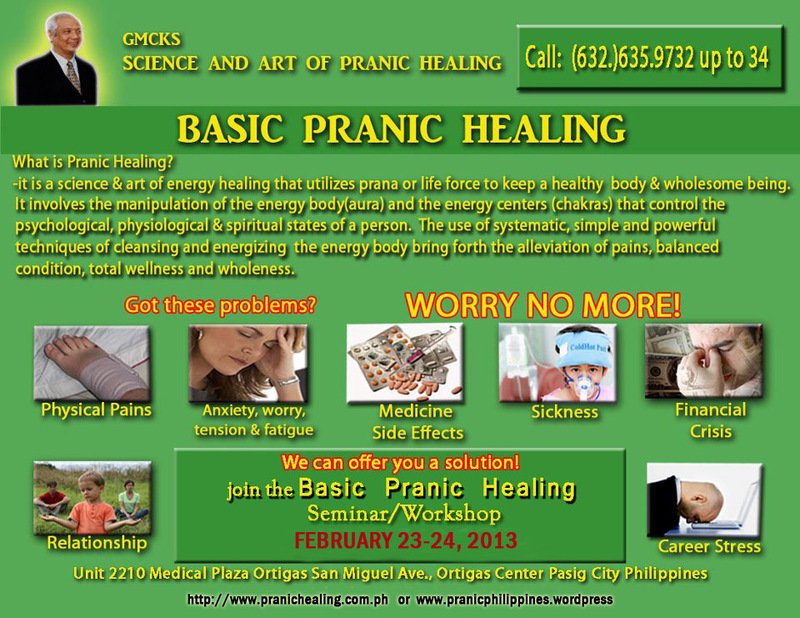 To prevent sickness, it is necessary to repair the structure of the energy body and Pranic Healing is the best way to do it.